The user-friendly interface of the tetraguard security manager is used for centrally managing all security components and settings, assigning user rights and setting up new clients. Installation and configuration are very easy. Tool tips for every possible setting and a detailed manual round this off. The combination of hardware-based security products from Luxembourg with proven tetraguard software technology yields entirely new perspectives in security technology. All components run guaranteed without a backdoor! The Luxembourg government has decided to exert no influence of any kind on software development for sensitive areas. On the contrary – Luxembourg regards this guaranteed non-intrusion as the basis for further expansion of local companies and as an important prerequisite for the founding of new companies – especially in the IT sector. This is not the case in many other countries. Authorized users can access and decrypt their own data at any time using their personal cryptographic code. This code can be fully recovered even after a complete failure. Data loss is therefore a thing of the past, and it is always possible to make a full recovery of all encrypted data. In recent years, Luxembourg has made great efforts to distinguish itself as an innovative country, especially in the field of computer technology and IT security. With the close networking of research institutions, ministries and universities, the foundation has been laid for trusting relationships, as are truly practiced within Luxembourg. Luxembourg has recognized the value of the tetraguard cryptographic solutions and sees in them the opportunity to achieve European sovereignty in this key technology. Employees need no extra training and can continue working in their customary way. No new steps are required for working within a security zone. Yet security is still guaranteed at all times. Even exceptional cases, such as submitting documents to a customer, involve only a single step. All that is required is the connection of an authorization key. 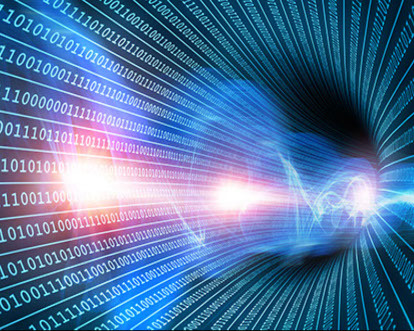 The focus of tetraguard software development is on the encryption of data of all types and origins. The special type of implementation gives rise to many features that are unique in the cryptographic sector. The exclusion of third-party products ensures there are no hidden backdoors through which unencrypted data can be accessed. 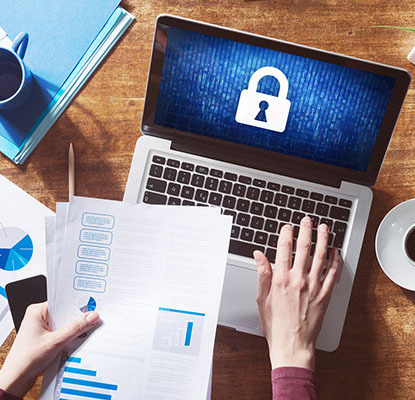 tetraguard software protects all company information not intended for outside parties automatically, securely and discreetly in the background. The proven tetraguard technology already protects data when copying onto storage media such as USB sticks, cameras, CDs/DVDs, SD cards etc. Furthermore, for your protection, tetraguard encrypts data on the hard disk, in the network and during transfer to the cloud. Combination with hardware-based security products presents even more interesting prospects in security technology. Our team of highly qualified experts creates hardware-based security products that largely support the data security software of tetraguard. 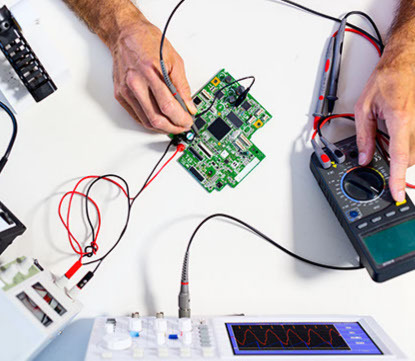 We competently implement individual customer wishes in the field of instrumentation and control, embedded systems and electronic module developments. We will gladly make you an offer for simulation models and feasibility studies. From the PCB layout to the finished device, you are in good hands with Solutions SA. We can also produce in small batches. Outsource your electronics development! Push us to the limit! Again, we guarantee security without hidden backdoors. In an increasingly complex world of digital information, it is difficult to keep the big picture in sight. We help you to answer practical questions, make strategic decisions and meet organizational requirements. Our pragmatic solutions according to the analysis of your needs will help you to exploit this complexity in your interest. 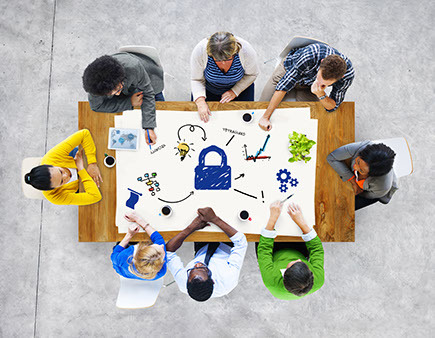 With a team of select experts, even complex security requirements can be made transparent. We will inform you in detail about our products and advise you. SOLUTIONS SA, based in Luxembourg, stands for all-round security products. Proven tetraguard software technology is combined with hardware-based security products for the cryptographic security of computer data. Data are protected already when copying onto removable media such as USB sticks. Furthermore, all sensitive data are automatically encrypted on the hard disk and in the network. no backdoors, no hidden access.